I am kind of sort of obsessed with these bars. They're date sweetened without any added sugar and packed full of nutritional goodness - but that's not why I love them. 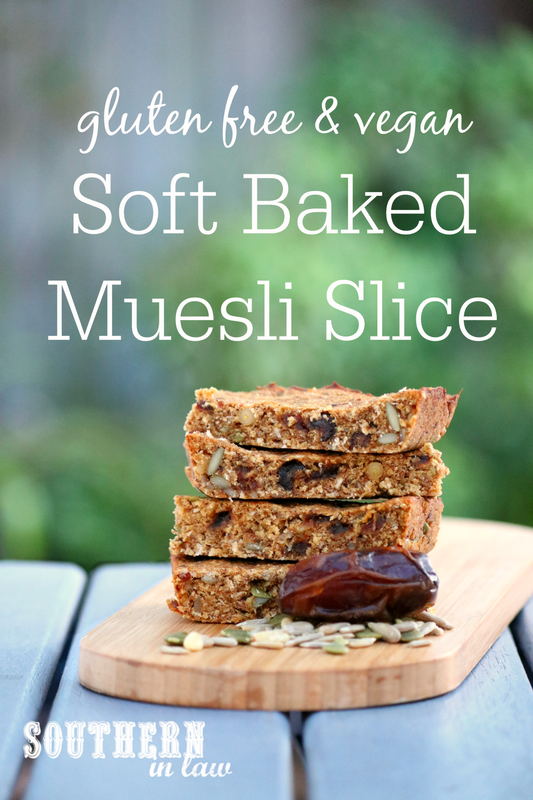 The texture is perfect (soft with chewy dates and crunchy seeds), the flavour is perfect and they're the perfect snack to throw into my bag when I'm on my way out of the door to head to a meeting. But even better than that? They are super easy to make! All you need is a food processor, a baking tin and 10-15 minutes of baking time and by the end of the process, your house will smell amaaaaaaaaaazing and you'll have a batch of homemade snack bars to enjoy! vegan, nut free, dairy free, egg free, kid friendly, soy free. Preheat your oven to 180C/355F. Line 9x13" slice tin with baking paper and set aside. In a food processor, add your dates, applesauce, milk and coconut oil and process until almost all of your dates are completely broken down (it's okay to have some chopped chunks - this just adds texture in the final bars!). Add in your mixed seeds/nuts, coconut, oats/quinoa flakes, flour, flaxseed and baking powder and process until combined. Pour your muesli slice mixture out into your prepared tin and smooth with a wet spatula or fingertips to form an even layer. Bake for 10-15 minutes or until your slice is golden and firm to the touch. 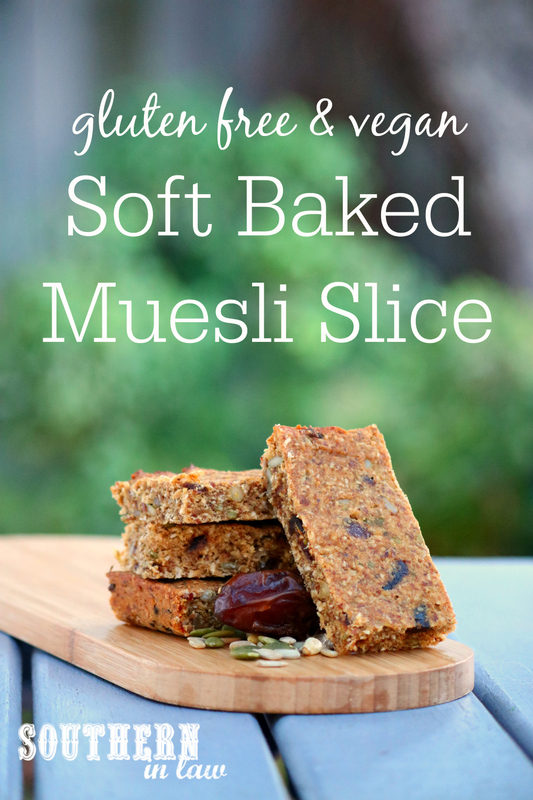 This slice will keep in the fridge or in an airtight container at room temperature for 3-4 days and can also be frozen to defrost and enjoy later on. (They could last longer, but they just seem to disappear in our house!). 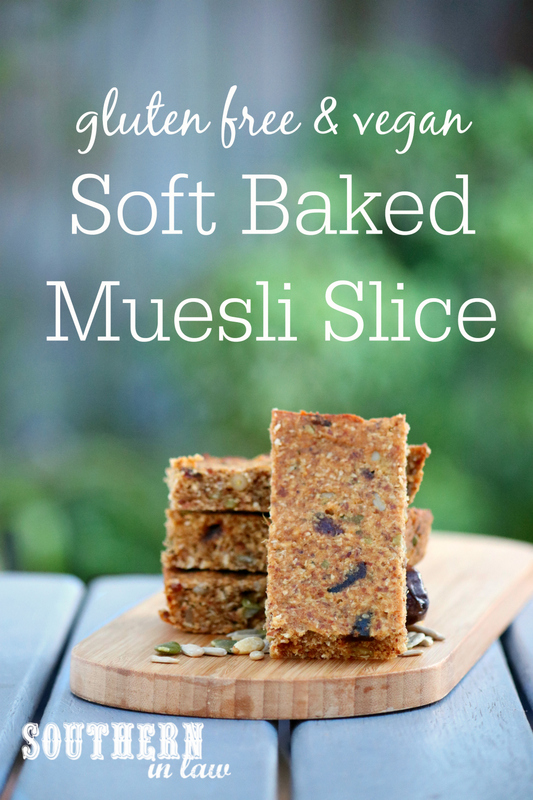 *I usually use a mix of pepita seeds and sunflower seeds when making these bars, however, I've also added nuts when I didn't have them available! **Find out more about oats on a gluten free diet. If you can't eat or don't have oats, feel free to swap them for quinoa flakes. The taste will be different, however, they are still delicious! What's your go to snack at the moment? And what's something awesome that's happened in your week so far? I took some time out of work yesterday for a coffee and walk with one of my gorgeous friends yesterday which was definitely awesome!